Click here – 1-773-600-1472 – on your mobile for towing in Chicago starting at just $55! 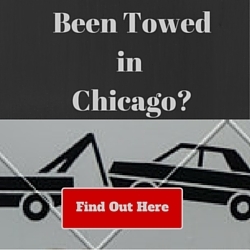 Fast, low cost towing service in Chicago is just a phone call away. You can even text us if you like. Just know that if you’re having vehicle problems anywhere in Chicago, we can help, we’ll be polite to a fault, we’ll respond quickly and we’ll show respect for you, your vehicle, your time and your budget. Vehicle lockout service if you’ve lost your keys or left them in your car. We don’t look at ourselves as a cheap tow company but we do provide top tier towing & roadside assistance services at lower prices than any other towing company in Chicago. We use the word “cheap” because Google says that’s one of the most popular ways people look for towing companies so we have to put it in there or you’d never find us. Rest assured when you call us you’ll get an experienced tow truck driver in a well-maintained, top of the line tow truck. He’ll be courteous, eager to help and he’ll have you and your vehicle on your way quickly and safely, anywhere in Chicago or the surrounding suburbs. If you asked your phone for Chicago towing near me, you’ll be happy to know that we’re a local Chicago towing service with tow trucks near you anywhere in Chicago, 24/7. With our office in Westlawn and depots on both the North and South sides of Chicago, we can come to your vehicle’s aid in a hurry. Call us or text us and we’re on our way.